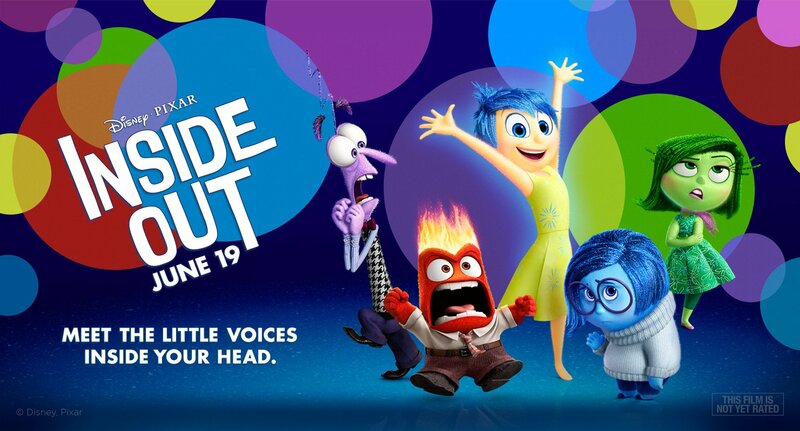 Most of us will have heard about, seen the trailers for and read reviews of Disney's new movie: Inside Out. Riley is a happy, content 11 year old girl, who loves hockey, and is having an easy ride with her 5 emotions: Joy, Sadness, Disgust, Anger and Fear. Joy is normally taking charge and everything is running smoothly. Until her parents announce they're moving from Wisconsin to San Francisco, and from there her emotions struggle to keep up, as Sadness takes over. And when Joy and Sadness get completely lost in Riley's brain, all that's left are Disgust, Fear and Anger. Not a good match! I had heard so many amazing things about Inside Out, and it certainly lived up to my standards, although a little tedious at some points. Made me laugh. Made me cry. Definitely one of my favourite Pixar movies since Toy Story! I also found it very relatable, being 11 myself so it was fun to watch. I have to admit, in the middle it got a bit boring and long-winded, and could have done with a little cropping there, but apart from that I would recommend it to all families! So that's the review! It's Finally Friday - what are you up to in the weekend? I heard a lot about Inside Out but most of the reviews seemed negative. I've decided not to watch it in theaters and wait for its internet release instead. Your review is nice though- you almost convinced me to watch it in theaters! Inside Out is such a good movie-- I agree that it lagged in the middle, but overall it pretty much meets the standards and expectations that Pixar has itself at! Inside Out is a really great thing to see! I agree with you about it. I'm going to watch Inside Out probably today! EVERYONE is talking about it, so I can't wait! LOVE that movie!!!!! I saw it with my cousin and my grandma in theaters! I saw Inside Out about two weeks ago, and it really is a great movie. A lot of pixar and disney films don't really have a meaning behind the story, but Inside Out did.